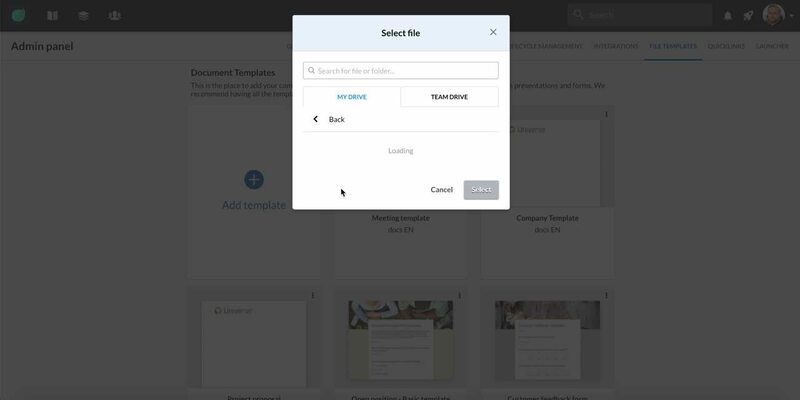 How to add document templates to Channels & Pages across your Happeo environment. Admins can add document templates to the Channel folder and the Pages folder widget from the admin panel "Templates" section. These templates can be any kinds of files – Google docs, sheets, slides, forms or even Microsoft Office files. IMPORTANT: The templates are not shared to any users by default, administrators need to make sure all users have access to these templates with edit rights.